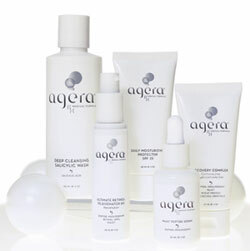 Agera Rx skin peels have been developed to treat ageing, acne and pigmentation. Is applicable as a superficial peel. Only to be utilised within the medical arena. Under their supervision and at the doctors discretion the protocol can be delegated out to a trained and certified beauty therapist (NVQ level 3 and above). 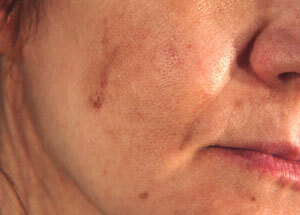 Agera Rx skin peels containing Salicylic, Lactic and l-Ascorbic acid. 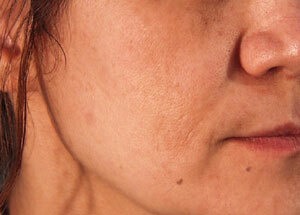 Anti-ageing, acne, pigmentation and general skin improvement. Individual peel products are available in various strengths which can be used individually or layered in a treatment session depending on the indication being treated. 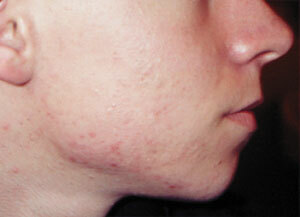 In combination with a course of Roaccutane. For optimum results it is suggested that a course of 6 - 10 peels is undertaken, spaced 10 - 14 days apart.Ongoing maintenance treatments performed monthly/bi-monthly are recommended. According to the manufacturer there are no reports of any severe side effects. 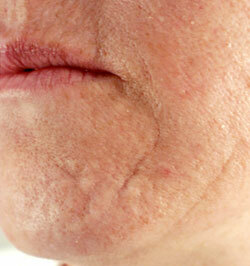 Flaking and or dryness of the stratum corneum (outermost layer of the skin) as a reaction of increased stimulation to the epidermal cell layer. Allergic reaction to perfumes and other products that you have been previously using. Prices are in the region of £65 to £95 per treatment session. Acne before and result following a series of 4 weekly Agera RX peels of increasing strength, in combination with a daily skin sterilisation and mild exfoliation programme. Hyperpigmentation before and result following a series of 4 weekly Agera RX peels with a daily nanoRetinyl™ Peptide Peel treatment. 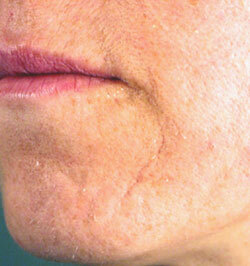 Age related scarring before and result following a series of 4 weekly Agera RX peels of increasing strength. Click for ALL Agera Rx Peels clinics in the UK & Ireland registered and verified by Consulting Room.